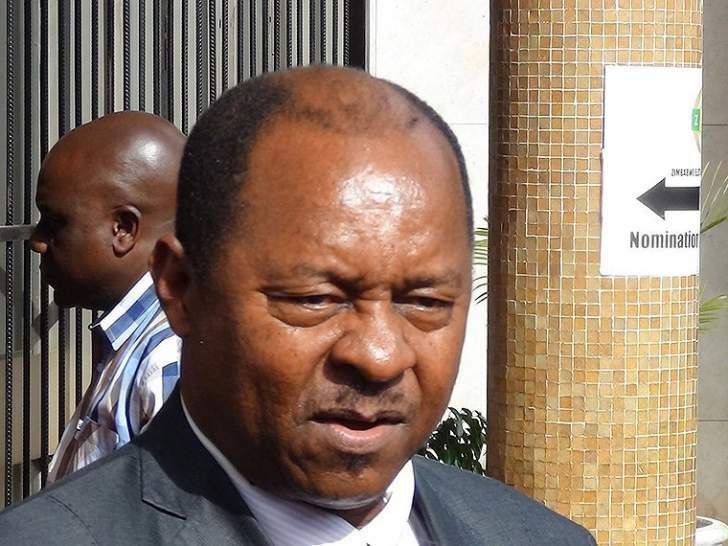 SUSPECTED cholera cases have dropped from 10 000 to 24, while Government is making frantic efforts to ensure the water-borne disease is totally eradicated, Health and Child Care Minister Dr Obadiah Moyo has said. Speaking at the Allied Health Practitioners Council in Harare yesterday, Dr Moyo said Government will ensure the sewer and water network is revamped, while clean water is piped into homes as part of measures to prevent cholera. "Cholera has killed 49 people in Zimbabwe. We have put systems in place to ensure that we contain the cholera outbreak. We are now at 24, as long as there are those 24, cholera is still there. One case of cholera can cause an outbreak, so we want to come down to zero. "After we count down to zero, we wait for two weeks. If there are no further cases then the outbreak can be closed. We can safely say there is no more outbreak. "We keep praying and working hard, ensuring that the patients we have are getting aggressive treatment format in order for us to overcome the outbreak," he said. Dr Moyo said the first batch of 500 000 oral cholera vaccines were being administered in the epicentre and hotspots. Glen View, Glen Norah and Budiriro are considered the epicentre of the cholera outbreak. "While Government has declared cholera a national disaster, it means we will be able to get a lot of support from both international bodies and local corporates. "We need to ensure that people are being made aware of good hygiene and sanitation. "Hygiene starts with ourselves as individuals from your home. We need to teach others and be aware. "People should not eat from the streets as those people in the streets use water from the contaminated sources. People should drink and use clean water," he said. The Government last month declared the cholera outbreak in Harare a state of emergency. This saw corporates and international partners joining the fight against the water-borne disease.